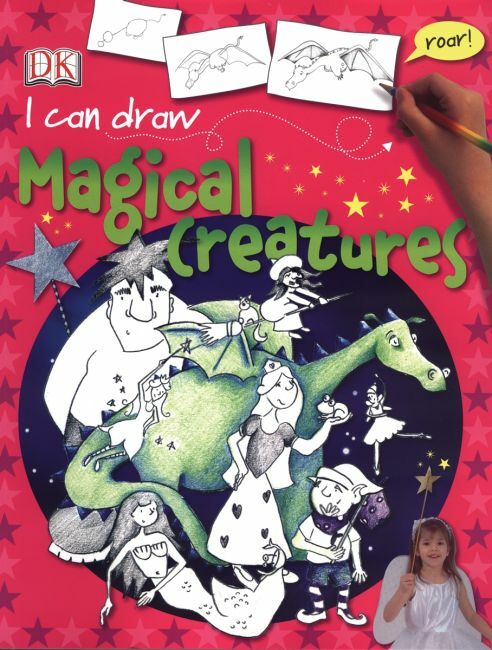 Learn how to draw, sketch, shade, and color fantastical creatures with I Can Draw Magical Creatures! Ever conjured up a picture in your head, but not been able to put pen to paper and create the same image? You don't have to be a great artist to be great at art with I Can Draw Magical Creatures. Start with simple outlines and create your own amazing drawings. Learn to draw all kinds of fantastic creatures - from fearsome dragons to beautiful unicorns - with the easy step-by-step guide that encourages and reassures at each stage. Get sketching!